So, after a while of seeing the ARC August tweets from the lovely Octavia at Read.Sleep.Repeat, I caved and decided to participate anyway. It’s a relatively small list, but it should work well with my crazy schedule to only have a couple things to read. 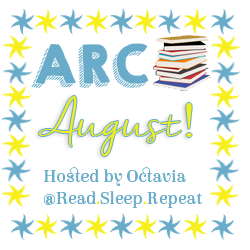 Do you plan on joining in with ARC August? What are you working on reading right now?